We are students from ECU working together with the Shire of Ashburton to document what you see changing around you. So far we have visited three times and each time there’s been a different group of us. 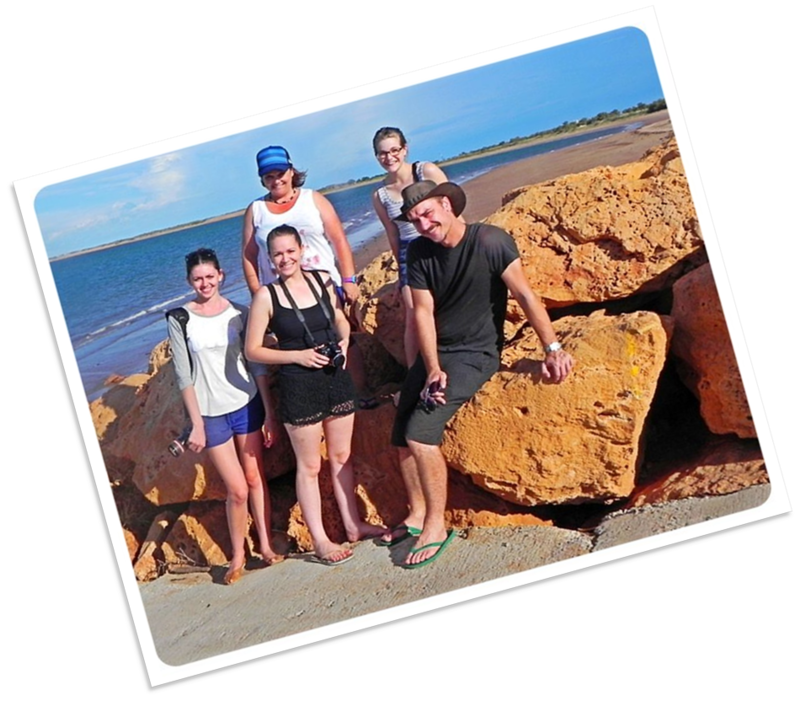 This is the crew that visited in July 2013 – They are: Shannon Wood, Karma Barndon, Brad Davis, Katherine Powell and Tasha Tania. They were helped back in Perth by Jess Allia and Jon Hopper, who did some extra journalism and proofreading. 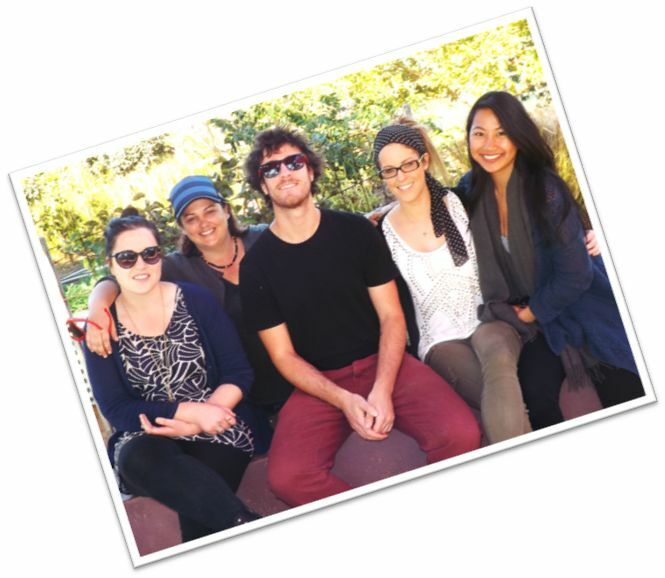 This is the second crew who came to Onslow in february 2013 – left to right: Kirstyn McMullan, Claire Ottaviano (front), Karma Barndon (back), Kailtin Shawcross (back) and Jon Hopper. This is the crew from the first visit, who you have may have seen in July 2012 lugging around tripods, cameras and other various recording equipment in an attempt to record Onslow before the big changes start to happen. 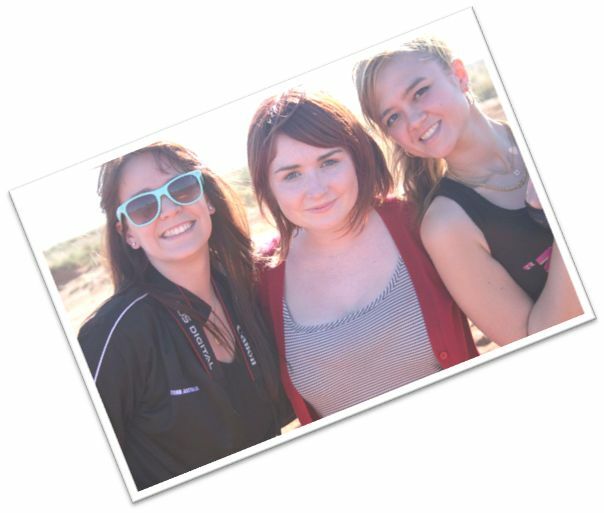 It’s Claire Ottaviano, Aine Ryan and Jasmine Amis, and they were helped with the magazine production back in Perth by Jon Hopper. We hope you enjoy what we have put together, with the help of our lecturer, Dr Kayt Davies.